Physiotherapy is the assessment, treatment and prevention of musculoskeletal dysfunction, promoting optimal rehabilitation and pain relief by a non- invasive hands on approach, following bone, muscle, nerve, ligament and joint injuries. With more moving parts than any other machine, it's not surprising your body occasionally cries out in pain or refuses to do what you tell it to do. After all, there are hundreds of different muscles and joints that can go wrong. Fortunately, there is an effective way to treat many of the problems you can experience, physiotherapy. 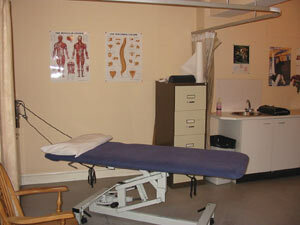 Physiotherapy uses a variety of techniques to help the muscles and joints in your spine and limbs to work to their full potential. It can help repair damage by speeding up the healing process and reduce pain and stiffness. However, physiotherapists don't just offer treatment. Their advice can help you prevent problems returning or even happening in the first place. What sort of help can physiotherapy offer ? 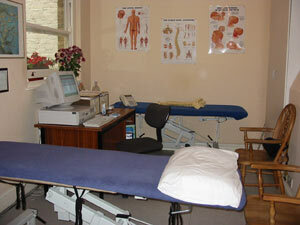 Physiotherapy will be able to help relieve your symptoms, promote tissue healing and improve mobility and function. Before any action is taken, you will be thoroughly assessed to diagnose the problem. The assessment findings will be discussed with you to help you understand what's wrong and how you can avoid further problems. An effective treatment plan will then be devised. Throughout the process you will be regularly consulted and have a say in the type of treatment used. How will I benefit from physiotherapy? Physiotherapy will allow you to get back to work also to return to exercise/sport faster, following orthopaedic surgery , an accident or injury. Sports injuries can often hit men and women of all ages and abilities. Physiotherapy offers effective treatment and can help you reduce your risk of injury. Exercise is an important part of a healthy lifestyle. However, men and women of all ages can run the risk of injury. Although accidents can and do happen, many injuries result from inadequate and/or inappropriate preparation for exercise/sport, or continuing/playing on after being injured. Charterd Physiotherapits can help you overcome many of these problems. They are experts in body movement and understand how muscles and joints work and why injuries can occur. Physiotherapists use their expertise to advise on preventative measures and treat existing conditions. In fact, they treat more sports- related injuries than any other health professional. The level of pain usually indicates the seriousness of an injury. The worse the pain, the more serious the injury is likely to be. If you experence severe pain or immediate swelling, you should seek medical attention straight away. DISCLAIMER It is strongly advised that all visitors seek professional medical attention for any problem or condition they may be concerned about and discuss information here with a qualified medical practitioner.